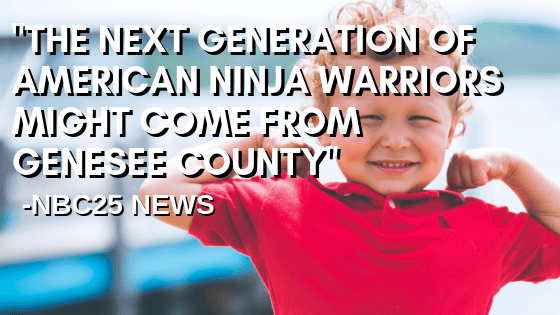 “GENESEE COUNTY, Mich. – The next generation of American ninja warriors might come from Genesee County. This week kids ages 6 and up are hitting the obstacle course at Tri County Ninja for Spring Break Ninja Camp. The kiddos are trying to conquer the obstacle course one section at a time. “Most people don’t run up walls in their spare time or swing around and do things so we try to give them just basic skills so when we do open it up for open gym later on in the day they actually have a basic understanding of how to do it and they don’t get intimidated “by some of the obstacles and they’ve practiced it with supervision,” said Tri County Ninja Owner Ed McNulty. If you’re looking for a way to get the kids out of the house, camp runs through Thursday, March 28 from 12:30 p.m. to 4 p.m.
To read the report on the NBC25 News website and view the image gallery included with the report, click the link below.